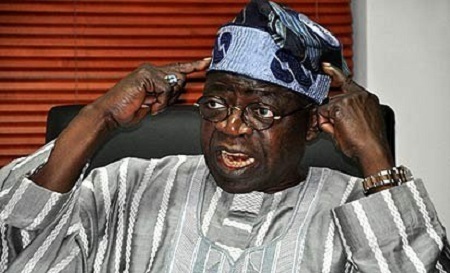 All Progressives Congress National Leader, Asiwaju Bola Tinubu, on Tuesday said that his visit to President Muhammadu Buhari was not connected with the critical statement issued by former President Olusegun Obasanjo on Buhari’s presidency. Mr Tunde Rahman of Tinubu’s Media Office said the visit by Tinubu and Chief Bisi Akande, former governor of Osun State, to the Presidential Villa was scheduled since last week. ”President Buhari periodically schedules talks with Asiwaju Tinubu and Baba Akande, as he does with other Nigerians and APC figures, to discuss substantive issues pertaining to the governance of the country and matters concerning the party. ”This visit was one of such meetings. As such, the meeting had nothing to do with the statement of former President Obasanjo. ”It is totally unconnected. At the time of the meeting, Tinubu and Baba Akande were even unaware that President Obasanjo had released his statement”, Rahman said. Former President Obasanjo, in a statement released today urged President Buhari to abandon the idea of seeking re-election in 2019. Obasanjo, a two-term president on the platform of Peoples Democratic Party (PDP), said he felt disappointed by Buhari, whom he supported during the 2015 election over then incumbent and candidate of his former party, Goodluck Jonathan. The octogenarian, who bagged a PhD over the weekend, admitted he knew Buhari was weak in handling the economy, he went ahead and voted for him because at the time “it was a matter of ‘any option but Jonathan’” and because he thought Buhari would appoint qualified Nigerians to help out in that area. Obasanjo had issued similar statements against former leaders such as President Shehu Shagari, Ibrahim Babangida, General Sani Abacha, Umaru Yar’Adua and Goodluck Jonathan. There has been no official reaction to the latest statement by the Buhari presidency.